So I had a mad epiphany this evening and it was very simply that I’m a slob so I need to get organised and if I ever want to get back to college I really need to get a move on with my study!! 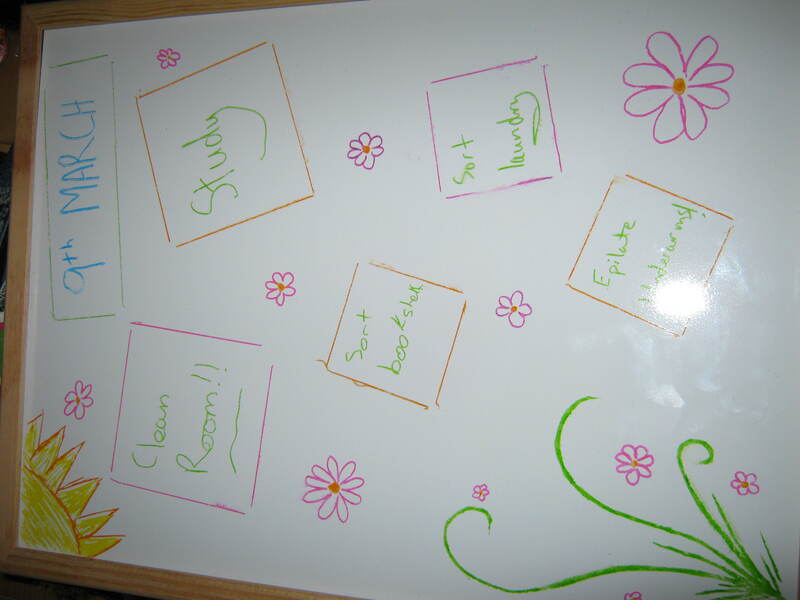 So I decided to go on a made search for my white board and marker!! I couldn’t find the marker I was looking for but I found some nice coloured ones and decided to have fun!! !